For the Turquoise Maria dress I told you that I used an invisible zipper foot and I thought I should show you just how great this simple tool is. When I heard about an invisible zipper foot from one of my Instagram friends I had to get one to try. She said there was no need to bother with all of the metal and more expensive ones and that a boring old plastic one should do the trick. So off to Amazon I went (*affiliate link). When it arrived I thought maybe Shannon was nuts and that there was no way this little piece of plastic would work. I could not have been more wrong. It was sort of magical. I decided to really try it out and not even baste anything the first time. 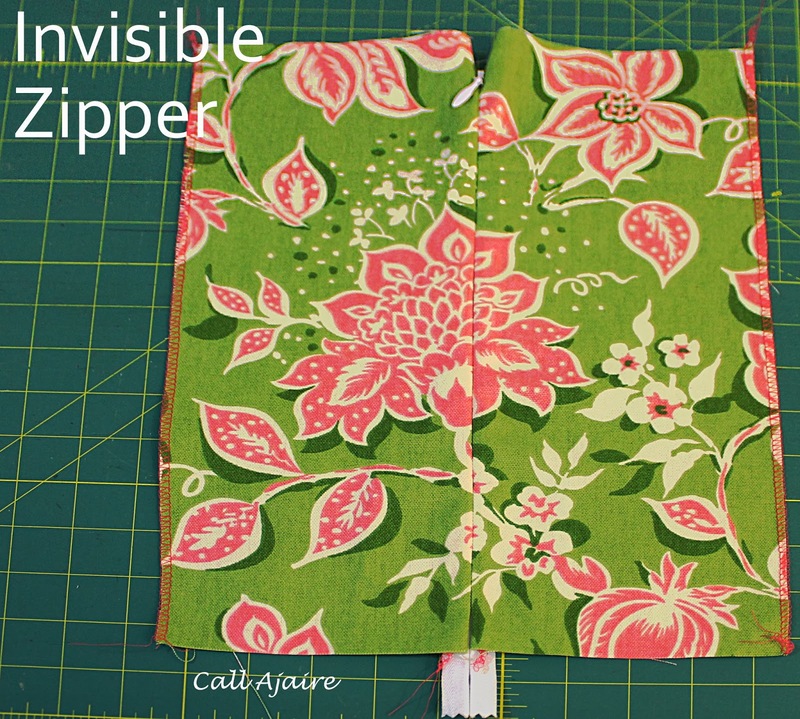 I have sewn a lot of zippers in my day and a great number of “invisible” zippers with just a regular zip and zipper foot, but I almost always have to baste first. I’ve had great results, but who wants to do extra steps like basting and later picking out the basting stitches especially when you’re rushing through “rest time” to try to get something finished, hehe. I’m making something fun for Valentine’s day right now so I used the invisible zipper steps from that project for these pictures. Come back next week to see what this little sneak peek became. The zipper installation is basically the same for a dress so just pretend the two sides are the back edges of a dress. 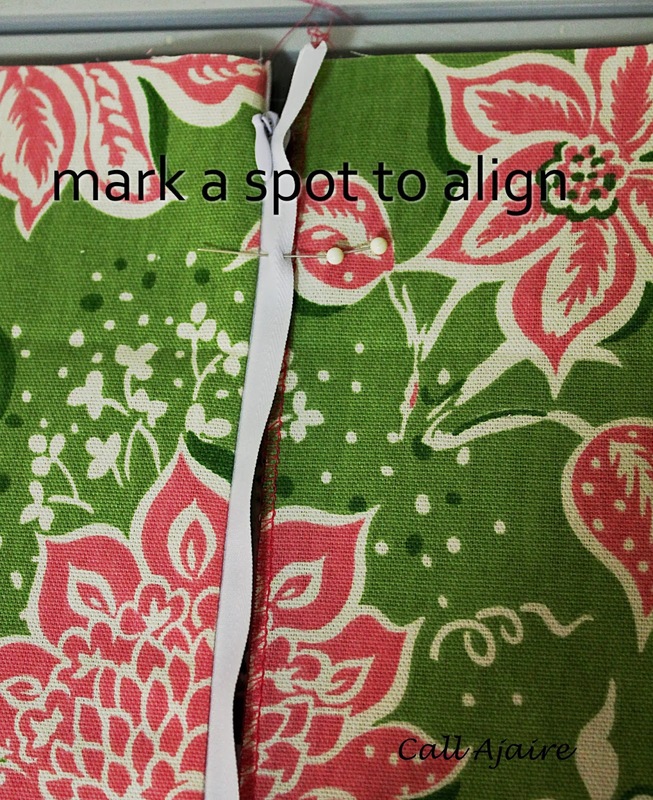 First, open the zipper and lay the teeth face down, lining up the edge of the zipper with the bodice edge and pinning. 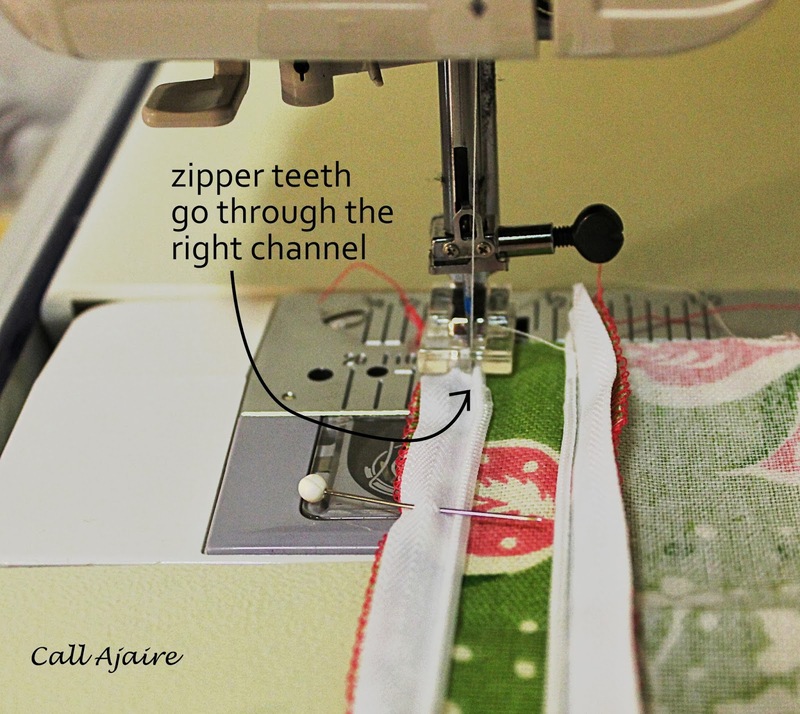 Make sure the teeth are in the little channel on the left and that the sewing needle in the correct position – close to the teeth edge but not so close that the zipper would jam against the fabric when opened and closed. 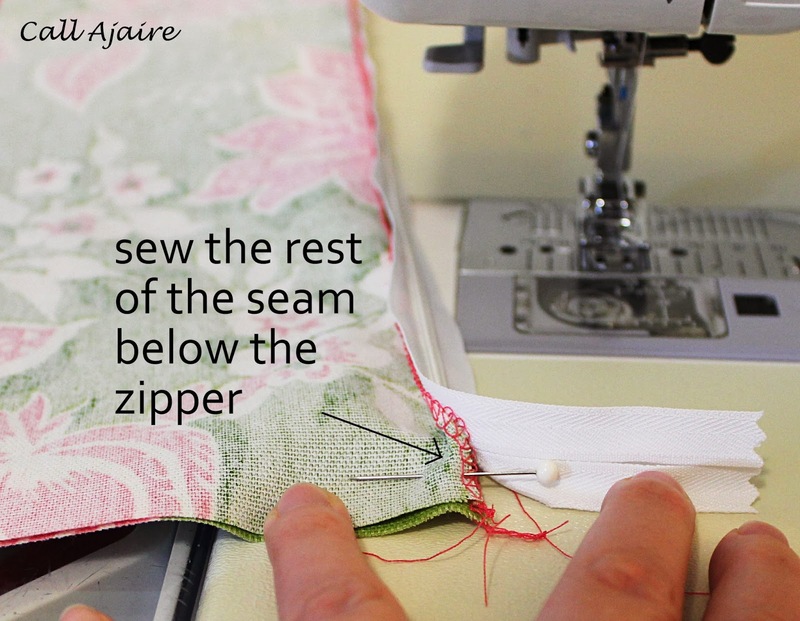 Sew with a straight stitch all the way down to where you want the zipper to end and backstitch to secure the stitching. 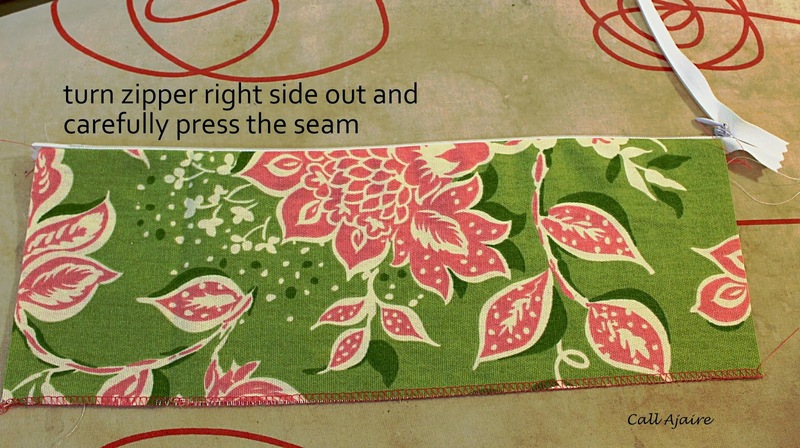 Turn the zipper and fabric so the wrong sides are touching and press along the seam. The teeth could melt with the heat of the iron so press with care. 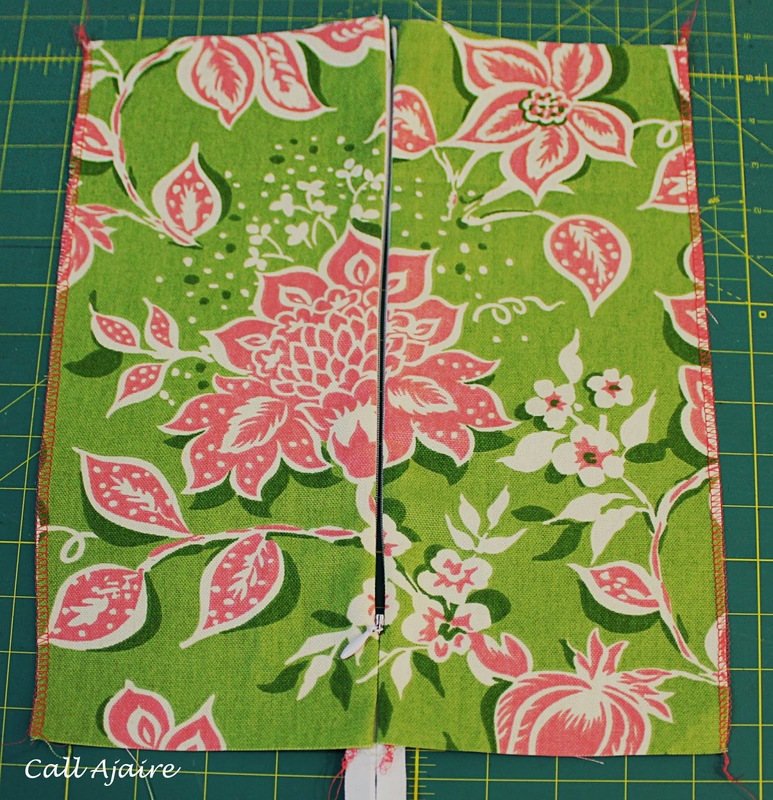 For the other side, take a minute to line up the fabric against the closed zipper. Mark a point where you would like the fabrics to meet. In the Maria Turquoise Dress I used the edges of the turquoise band to ensure they would line up correctly once the zipper was zipped. For this project I just chose a spot on one of the flowers and placed a pin on the zipper and on the unsewn edge to match. Flip the zipper along with the sewn fabric edge so that the right side of the zipper faces the right side of the unsewn fabric piece. Unzip the zipper, match the markings (pins) and pin the rest of the zipper. With a garment I find it easiest to fold the whole thing in half with right sides facing to match the right side of the zipper to the right side edge of the back bodice. 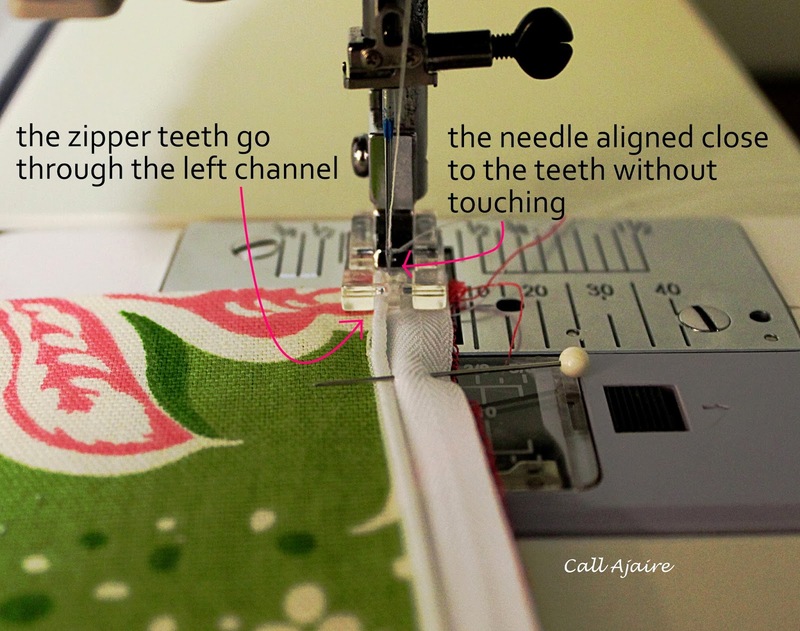 To sew this edge the zipper teeth need to go through the right channel with your needle just to the left of the teeth. 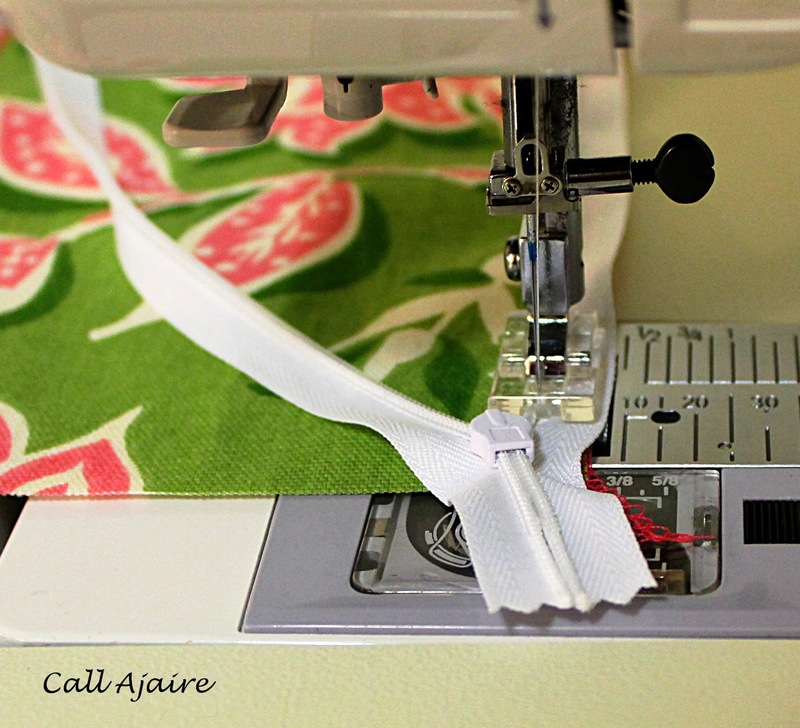 Sew with a straight stitch to where you would like the zipper to stop and backstitch to secure the stitching. As you can see in the picture above, the zipper pull is below where I would want the zipper to end so I could sew all the way to the correct spot without it getting in the way. There is no problem zipping and unzipping the zipper past the stopping point because the stitching doesn’t cross over the teeth. 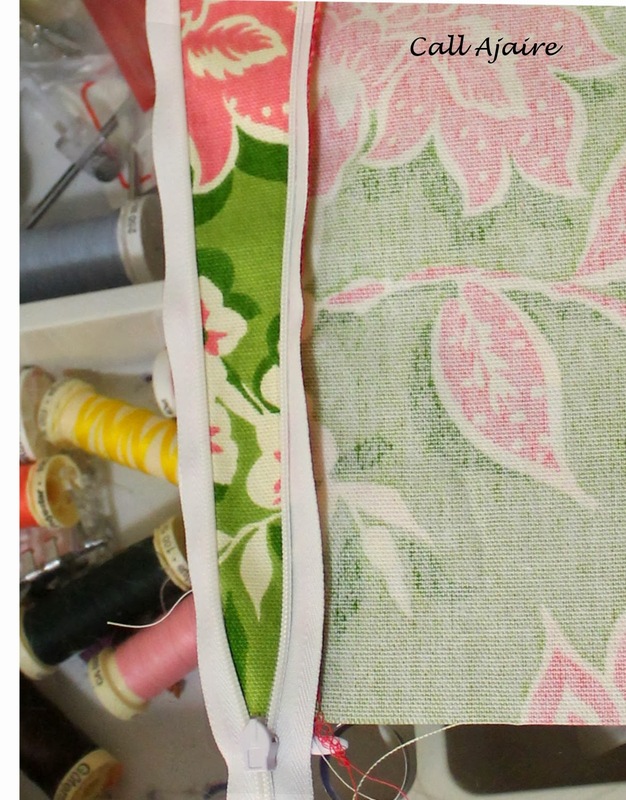 Once you finish sewing you can simply pull the zipper pull up above where the zipper should stop to finish the project. 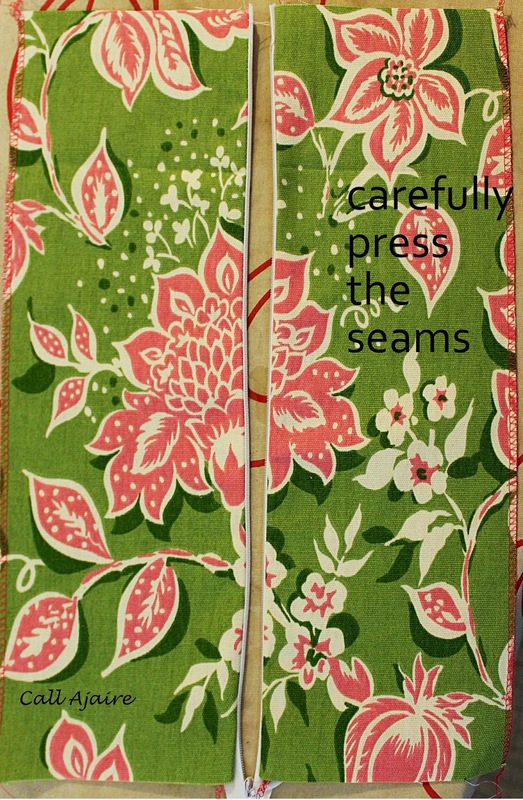 Again, press the seams carefully so that the zipper and fabric are wrong sides facing. And that’s it. From here you would just finish the garment as you normally would taking care not to hit the zipper teeth when sewing across the bottom and top edges. 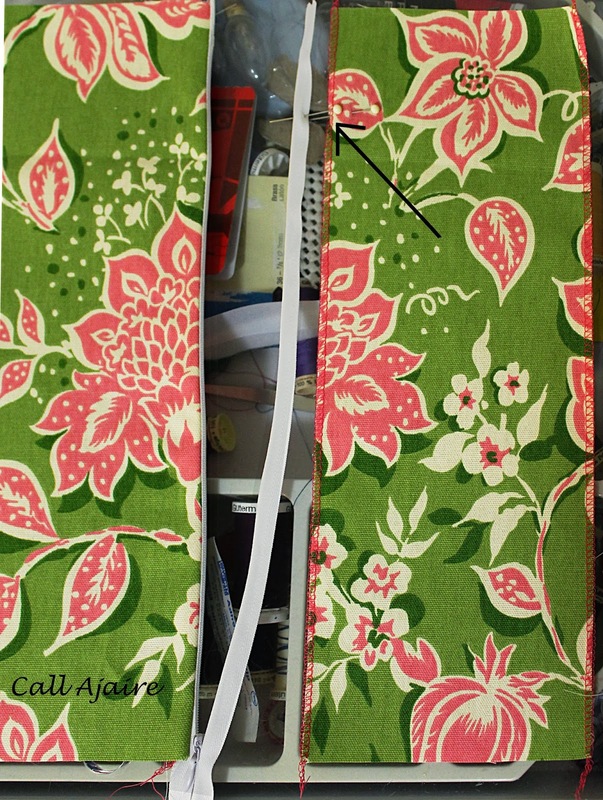 If your zipper is too long you can apply any shortening method you’d like and then trim it to size. 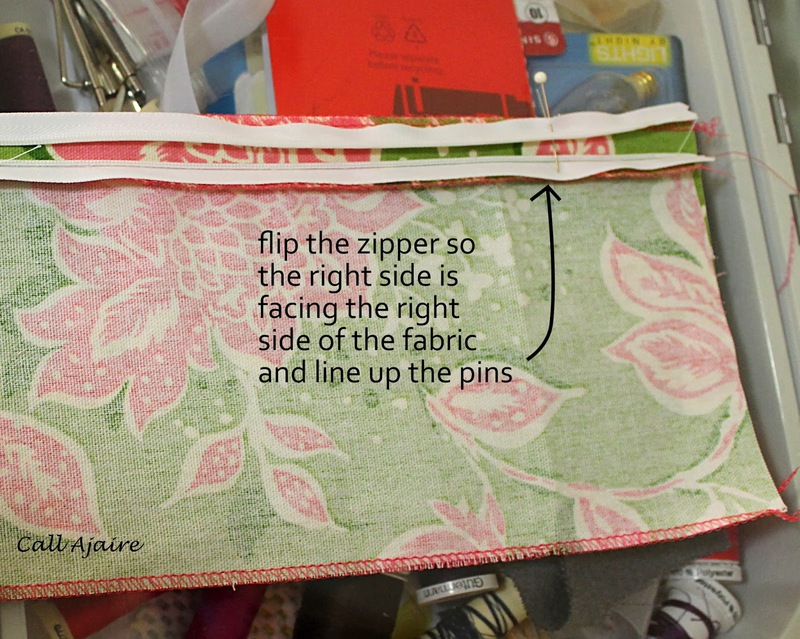 There are lots of tutorials out there for shortening a zipper, but let me know if you have any questions. Any seam that needs to be sewn below the zipper can be sewn with right sides together as close to the zipper as possible while you make sure the zipper is pulled out of the way. Can you believe how invisible that zipper is? The fabric doesn’t catch in the teeth at all, but the zipper just disappears into the seam when it is closed. In this case the flower pattern doesn’t match up exactly, but I wasn’t trying to get an exact match. You can certainly see how a little bit of fussier cutting would make a perfect match though. 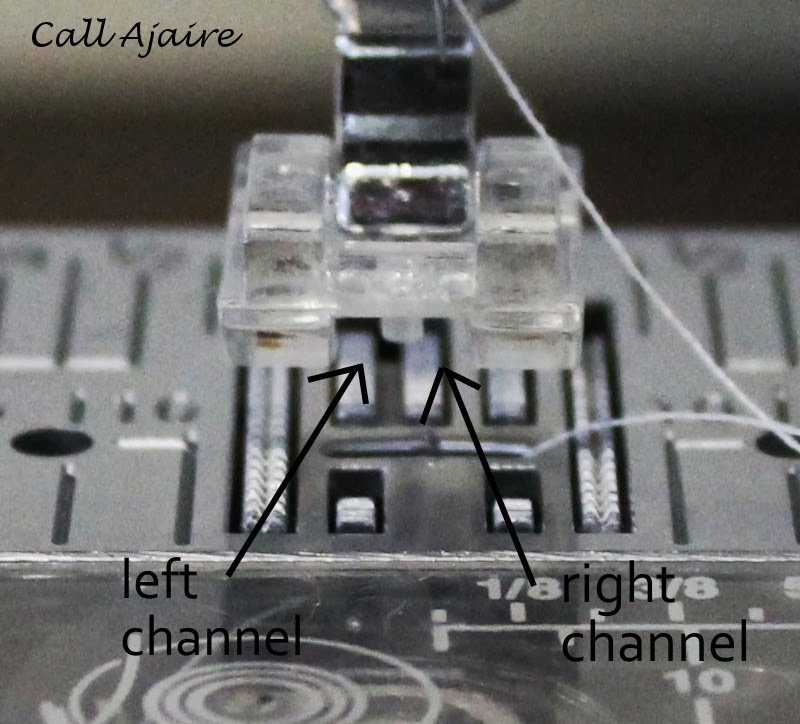 This simple sewing machine foot has changed the world of zippers for me and I hope it does for you too. I love finding new ways of doing things even after all this time. We are never finished learning are we? What about you? 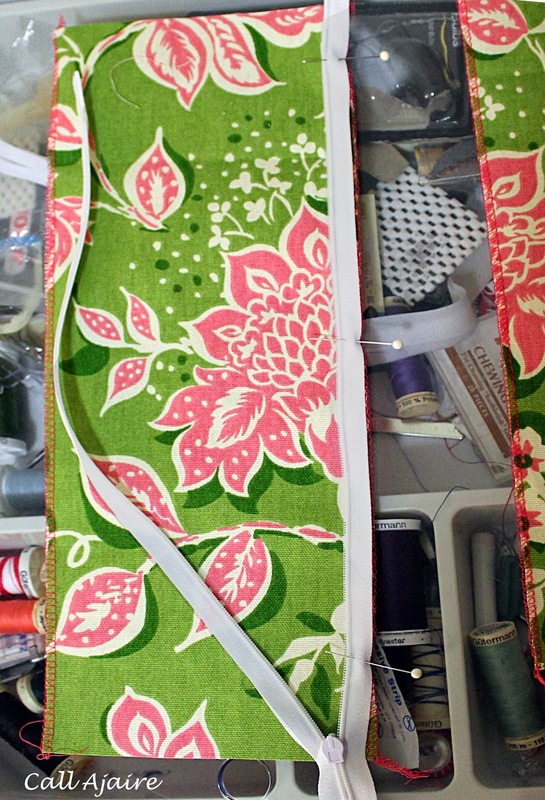 Do you have any sewing tools that have totally changed your sewing skills? Wonderful tutorial!! And amazing job at lining that up! 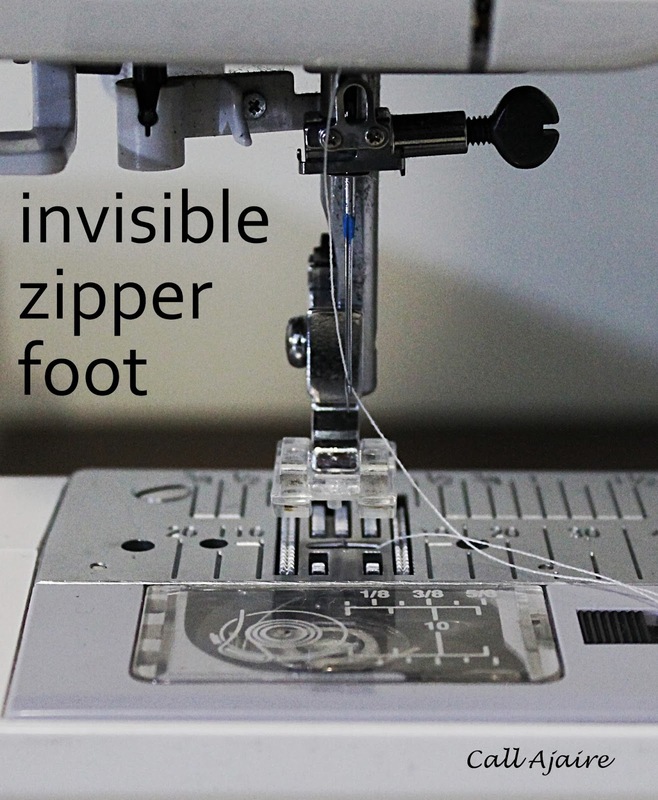 Now that I think about it, whatever machine I used for that one perfect invisible zipper that I did had the zipper foot that has the plastic with the channels. I think I thought it was just a regular zipper foot, not an invisible one. And it makes sense that when I got my machine the zipper foot looked funny to me becuase it's not invisible. I think it was on moms old ken more.